We work hard to simplify our dumpster rental service in Barrie, ON, making your life much easier. When you are in need of a dumpster rental service that is reliable and efficient, call us at Guaranteed Services. We offer dumpster rentals in various sizes, so you can find the container that will fit the waste your job will produce, whether you are planning a big home renovation project or need dumpster rental service for your commercial construction job. 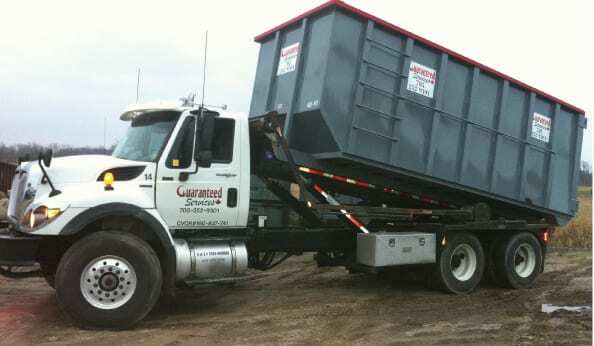 Unlike companies that only offer weekly pick-up, our team at Guaranteed Services is ideal if you have a specific timeframe for your project but won’t want the dumpster on your property for a long time. We work hard to simplify the dumpster rental process, making your life much easier. 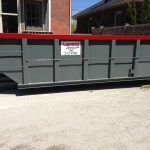 When you contact us for information about dumpster rental service, we will get some basic information from you to determine the size of dumpster you may need and how long you will need to keep it on your property. One of our team members will then bring it to the property and set it up, so it is easily accessible on the job site. Since our containers are all open-top, it is easy to drop waste in without having to constantly open and close the lid. After you complete the project, we will then schedule a pick-up time. Guaranteed Services will also dispose of the waste, so you won’t have to worry about what to do with all the trash from your construction or renovation project. Contact us today to learn more about our dumpster rental services and many other options for container and waste bin rentals in Barrie, Ontario. At Guaranteed Services, we offer a dumpster rental service in Barrie, Innisfil, Collingwood, Orillia, Wasaga Beach, Angus, Stayner, and Midhurst, Ontario.